If you've searched around for Spanish language courses you're liable to have heard of Rocket Spanish. Overall the course has a surprisingly positive reputation. (I say surprisingly because the course simply isn't as well known as others). In this post we take an in depth look at Rocket Spanish to see how well it works with the Spanish language. If you want a more in depth review of the general method and layout of the Rocket Language courses you can check out our full Rocket Languages Review. A highly structured course that will take you from the basics to the upper intermediate level in Spanish. 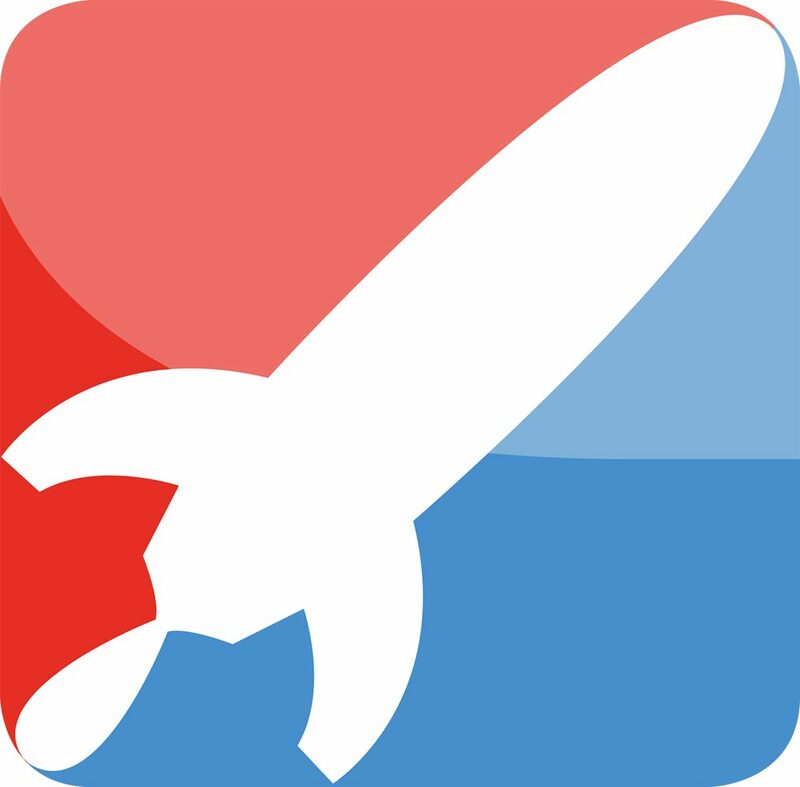 Rocket Spanish is a web based Spanish course for beginners and intermediate learners. The course uses a method which emphasizes practical vocabulary and grammar. This approach helps learners start speaking Spanish from the start, while gradually learning the mechanics of what they're saying. The course also incorporates speaking, listening, reading, and writing throughout its lessons, thus teaching Spanish holistically instead of breaking it into separate parts like some other courses do. While Rocket Spanish is a great course and is often highly recommended across the web, it isn't perfect. The course doesn't include the pronunciation and vocabulary of European Spanish. Also the lessons can feel dull after awhile. Even so, if you're looking for an effective Spanish course that will help you speak the language as well as understand its grammar, then this is definitely a course worth looking at. Rocket Spanish will help all but the most advanced students of the language. The first level of the course covers all the basics you'd expect to find in a beginner course (how to talk about yourself, alphabet/pronunciation, and foundational grammar). The later levels will deal with more complex language usage. In the third level you'll find a lot of content on the tricky Spanish past tenses. You'll also learn and use things like the subjunctive and indicative mood. So whether you've been learning Spanish for awhile, or are completely new to the language, Rocket Spanish will help increase your proficiency. Rocket Spanish is one of the most comprehensive Spanish courses available. What do we mean exactly when we say comprehensive? First, you can expect to use all four aspects of the language. You learn to read and write in Spanish, as well as listen and speak. Second, there isn't any part of Spanish that the course leaves untouched. You will be exposed to all of the grammar and vocabulary you will need in order to use the language at a functional level (higher than the level you'd be able to reach with some other courses). Rocket Spanish is a full on language course, and it's price reflects that. While it's reasonably priced next to its competitors, the cost is a bit high if you're simply looking for a supplement for your Spanish learning. If you want a new or interesting way to practice Spanish or learn a few new words here or there you're probably better off using an app or some other low priced alternative. To be honest there aren't a lot of drawbacks with Rocket Spanish. One of the main shortcomings of the course is that it can seem a bit dull if it's all you use to learn Spanish. The course works hard to teach you Spanish (which it does successfully). However it doesn't try that hard to make the process fun or overtly interesting. Here are a couple of the biggest pros of using Rocket Spanish. Rocket Spanish has two types of lessons: one which teaches grammar and spelling (called language and culture lessons), and one which teaches conversational Spanish phrases (called audio lessons). It's not hard to find a Spanish course that teaches you Spanish grammar. In fact you don't even necessarily need to buy a course to learn grammar, as there are a ton of free resources for it on the web. It's a lot harder to find a course that adequately prepares you for real world conversations. Rocket Spanish takes a good stab at this problem. The audio lessons teach you Spanish words and phrases which allow you to start speaking right away. You can literally take what you learn in these lessons and use it on the streets of a Spanish speaking country. That's simply not the case with the vast majority of Spanish courses, which teach you grammar at the expense of being practical. There are four aspects of language learning: reading, writing, speaking, and listening. Most courses focus on one or two aspects while ignoring the rest. Rocket Spanish strikes a nice balance by teaching all four aspects fairly equally. From the beginning the audio lessons teach Spanish pronunciation alongside vocabulary. There are also activities at the end of every lesson which help you practice speaking (via voice recognition), listening, and writing. This even approach is a viable asset to any Spanish learner, and is a unique aspect of the course. Rocket Spanish focuses on Latin American Spanish. You won't see any of the pronunciation or word choices from the Spanish spoken in Spain. How different are the two? Well, if you can speak one you'll have no problems understanding the other. The main difference is pronunciation (Spanish from Spain sounds markedly different from Latin American Spanish). There is also some difference between word choice. The two versions of the language sometimes use a slightly different word for a specific object or action. While this Spanish course is effective, it can seem a bit dry at times. The main goal of the course is to teach Spanish, which it does. Unfortunately though there isn't a huge effort to add a component of entertainment or fun to the program. While this isn't absolutely necessary, it would be nice. ...Although it does contain reading and writing lessons, its strength is definitely in speaking and listening, and the grammar is demonstrated rather than explained in heavy detail. Is Rocket Languages an effective way to learn a language? You get a ton of high-quality content and they've done a great job linking all the content together in bite-sized audio files. Each lesson also comes with a range of tools to make learning easier and with the transcripts you can print the lessons out and practice the old-school way. While the cost might look scary, you have to remember it's a one-time investment. This means, compared to other services that you'll pay more upfront but you'll pay only once. Spanishpod101 features audio lessons in a podcast format. Lessons are great for grammar and vocabulary. Each lesson is designed around a Spanish conversation between native speakers, and the teachers do a great job of keeping things engaging. While it's not as structured as Rocket Spanish, it's still a substantial Spanish learning tool (it's also much cheaper too). The site features transcripts, an in-site flashcard system, and many other useful features. Pimsleur is probably the second most popular language course behind Rosetta Stone. Pimsleur is entirely audio based and is specifically designed to develop your conversational skills. This course use a unique and effective question/recall/respond technique to get you on your feet in your new foreign language. With Pimsleur You'll learn a limited but functional vocabulary and have a good sense of pronunciation. This course is for those who are serious about speaking Spanish, not just reading or hearing it. An intro video from one of Italki's Spanish teachers. Italki is an online market place that connects language learners with language teachers for one-on-one language classes via video or audio chat. You can connect with language speakers from around the world and practice your speaking skills. On Italki there are over 800 Spanish teachers and tutor from around the world! In the end Rocket Spanish is a great option for someone looking for a meaty Spanish course. The course covers all the foundational parts of the Spanish language, and it will leave you with the ability to speak and understand the language at a fairly proficient level. You can sign up for a free trial of the course (no payment information required). There you'll be able to work through some of the lessons from each of the three levels of the course. It's a great way to test things out and see if this course is right for you!